In the mid-1800s, General Mariano Guadalupe Vallejo, of Sonoma fame, was instrumental in establishing the Carneros Region through the practice of awarding land grants to individuals who expressed a willingness to develop the land. Albeit, most of these grants were made to his close relatives, there were four grants that formed the boundaries of what is now the Carneros region: Rincon de los Carneros, Entre Napa, Huichica and Petaluma. Portions of these grants were immediately subdivided and sold for farmland and grapes quickly became a significant part of Carneros agriculture. Wine Historian William Heintz contends that Carneros may in fact be the second oldest vineyard land in northern California. 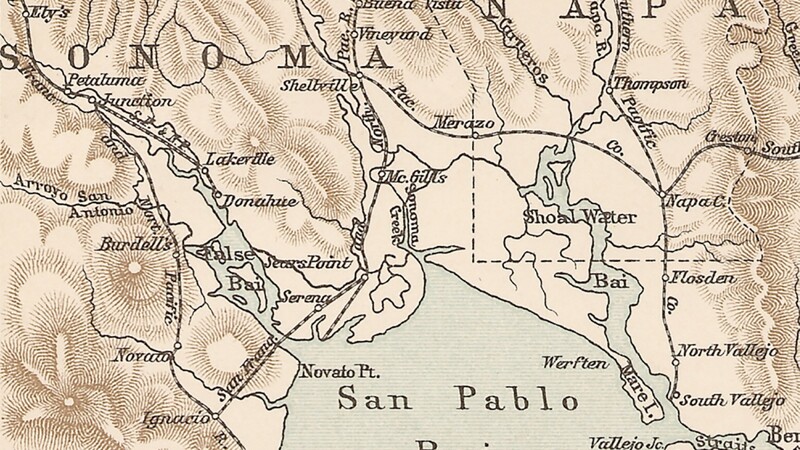 One of the largest Carneros vineyards in the late 1800s was the Stanly Ranch. Judge John Stanly was the first to achieve critical acclaim for wines made from Carneros grown fruit in 1888, winning medals from viticultural fairs. With our state-of-the-art, solar powered winery and sustainably farmed Stanly Ranch Estate Vineyard, we recognize that Starmont sits on a significant piece of California and Napa Valley wine history. As we ponder what the Judge would think of our beautiful winery and vineyards, we are proud of the fact that we are doing everything in our power to produce high quality wines that are expressive, approachable and distinctly Carneros – continuing the legacy that began over 150 years ago.